If you are heading out on a hike then you quite simply need appropriate footwear in order to be able to deal with the terrain and the constant steps that you are taking. 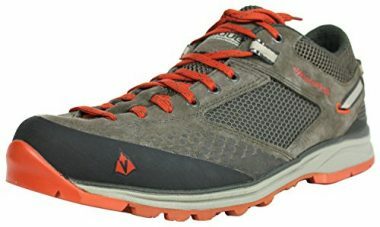 Getting hiking boots was always seen as important but now the best hiking shoes are challenging that due to their level of support and low weight. Choosing the best lightweight hiking shoes though can be difficult as there are quite a few different features to consider, which all play a part in choosing the best product. Whether it is with weight or waterproofing, support or traction, there is plenty to think about. That’s where we can help as we will explain all the key features and why they are important to you, we have also completed hiking shoes reviews on the 10 best products out there to help you choose the perfect shoe. Once you have read this guide, you’ll know exactly what you’re looking for. 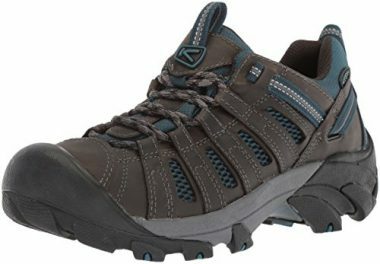 KEEN have been able to produce these top rated lightweight hiking shoes which have all the features that you would be looking for. They are made from leather and feature a rubber sole which is going to be able to give you a large amount of traction, even on slippery surfaces. The shoes have a high heel which measures two inches to give you a high degree of comfort and are very easy to put on too, making it very convenient. The padded tongue and collar of the shoe gives it a huge amount of comfort to prevent your feet from getting sore, even after a long day. The shoe is light in weight to add to its comfort and also to prevent your leg muscles getting sore. The ease of use with these shoes is also helped by the EVA midsole which has dual density compression. Overall this is a brilliant shoe which will be able to give you everything that you require. Columbia are another company who are well-known for producing high-quality footwear and these shoes are comparable with even the best waterproof hiking boots. They will be able to give you full protection from the rain in order to keep your feet and socks dry. They also compare with the best backpacking boots in other areas too such as the support that they give. They have a high amount of durability with their leather upper and rubber sole to make sure that your feet stay on the ground at all times, with you not having to worry about them breaking. These work perfectly as trail hiking shoes as they will be light on your feet which will stop you from getting aches at the end of the day in your muscles and also will prevent your feet getting sore, so you can continue to hike for days on end without experiencing any pain. 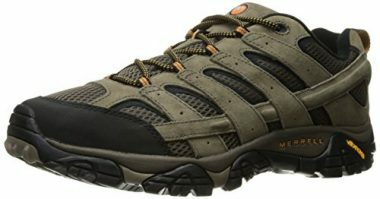 Merrell have produced these shoes for hiking which are very highly rated by those who have used them which will give you confidence that you are buying a quality product and one with will not only give you the comfort and support that you’re looking for but will always last for a long time. The upper is made from suede leather and mesh which will protect your feet but also allow them to be breathable so that they are comfortable hiking shoes. The air will be able to get to your feet and prevent any moisture from being trapped in your shoe, which can cause discomfort and blistering. While these outdoor shoes might let the moisture out, they do a great job of not letting any in with their closed cell foam tongue. The trail walking shoes also have a molded nylon shank which is going to be able to give you a high level of ankles support and protection is also give with the rubber toe cap. Vasque have been able to produce one of the most stylish shoes on the hiking market with this product which uses the suede leather upper to great effect in order to make an attractive design. Behind that style is a very solid shoe which will be able to give you a high level of performance when you’re hiking. The sole is heavily lugged in order to give you a high level of stability when you are walking but that doesn’t sacrifice any comfort due to the padded feel of the shoe. That stability is added too with the molded EVA and TPU plated midsole, which makes for a very stable shoe. There is also a highly tunable lace system to make it easy to have a secure fit. There are a few different color options with the shoe which all look great and there are plenty of size options so that you’re able to find the perfect fit for you. When you do, this is a shoe which will provide you with great value. 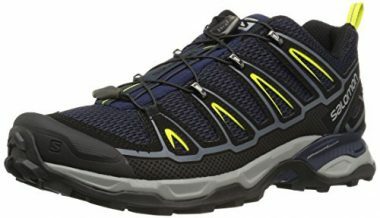 This is another great shoe from KEEN which has many great features. The shoe comes in seven different color options to allow you to choose your favorite and select the style which is going to best suit you. They have a leather and mesh upper to give you a combination of durability and breathability too. These shoes are another which have that large two inch heel which forms the rubber sole to give you a high level of traction, even in difficult conditions. There is also shoe protection too in the form of a rubber block and protection is also provided by the way of a large amount of stability. That stability is helped by the shoe having a torsion shank to keep it stable. For your comfort it has a metatomical EVA footbed and a removable insole to allow you to add your own should you have any pre-existing foot conditions which need specialist care. 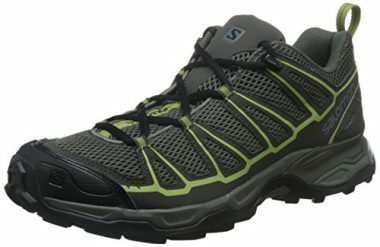 Salomon are another company who have been able to produce a highly-rated shoe and one which many people have been happy to recommend to others. The shoe is made from textile and synthetic which is able to give it a very low weight but without sacrificing much in the way of durability. The chassis of the shoe is going to be able to give your foot a lot of support when you are out there hiking, even in tricky conditions. That stability is also added to by the fact that it has a high amount of traction as the shoe has a rubber sole with well-designed lungs to support your movement. The shoe comes with a two year warranty on them which shows the confidence that Salomon have in their product. The mesh that is featured on the shoe will allow it to be highly breathable making it an ideal shoe for hot conditions where your feet can easily sweat. 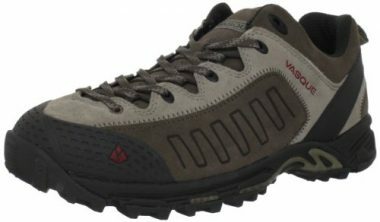 The previous shoe that we reviewed from Vasque was highly stylish and this product follows the same path. It’s actually available in an even greater range of colors which gives you a great level of choice with your hiking shoe. The style isn’t the most important aspect by far, but everyone wants to look good. Part of the reason for that great look is the leather that they have on them which will be able to give the shoe a high amount of durability, as well as helping it to remain stable. Between that leather are mesh panels which are going to allow your feet to breath, even on the hottest of days. Not all rubber is made the same and a lot of companies outsource their sole-making to other companies and the industry leader is Vibram who have developed a great reputation. 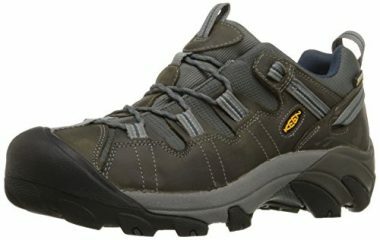 It gives these shoes a brilliant level of grip and will help to give you confidence when you’re hiking. Obviously more commonly known as a sports shoe maker, Adidas have also been able to produce a hiking shoe. 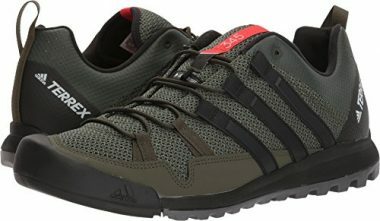 Some great companies go out of their comfort zone and fail to deliver but with this product Adidas have shown that they are also able to make a brilliant shoe for hiking. It is highly rated and compares well with all the other shoe brands. As you’d expect, the shoe offers a high level of comfort as it has a molded sock liner which will be able to enhance the fit of the shoe. This not only makes it more comfortable but also adds to its stability. The midsole is made from lightweight EVA to give you a great level of shock absorption and the outsole is made from high-traction rubber to ensure that you stay upright, which is helped by their 5mm lugs. Overall this is a shoe which definitely lives up to the name and the expectation. 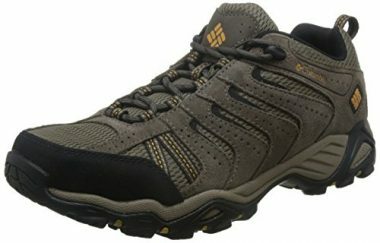 These hiking shoes from Columbia are a good bridge between a hiking shoe and a hiking boot due to their high level of durability and support. They have a waterproof seam-sealed membrane which is going to help keep your feet dry if you are ever caught out in the rain. They have omni-grip rubber to ensure that you stay on your feet and the rubber is also non-marking, so you don’t have to worry about making a mess once you are back inside. They offer a lot of protection with the rubber cap on the end which will protect you from any accidents. The shoes have a good looking design and are available in three different color options, allowing you to choose the style and size which is going to suit you. Columbia are known for producing quality hiking products and this is another good example of that. One of the greatest features on this shoe from Salomon is their quick lace system which will enable you to take the shoes on and off very quickly, which will be a great feature when you are tired after a long hike. There is also a mudguard on the shoe which will help to protect your feet and that protection is added to with the large rubber toe cap which is on the end of the shoe. It has a sock liner to give your feet a high level of comfort when you are in the shoe. That comfort is helped by the injected EVA midsole to absorb the shock of your feet constantly hitting the ground. This will help to not only help your feet but also your joints too. This is a great shoe which also has a very stylish design. The materials play an important part of many aspects of your shoe. They play a huge role in the durability of the product but that is often countered by the increased weight that stronger material provides. They also affect the stability and the comfort of the shoe and it’s important to get the right fit for you. Upper – The upper of a hiking shoe will be made up of leather, synthetic material or a mixture of the two. The most common material that can be found with these shoes is nubuck leather which will be able to give the shoe a high amount of durability. The leather is given a brushed finish which will make it feel like suede and it looks great too. The reason that nubuck leather is used is that it is more flexible and also lighter than full leather and therefore will still be a tough material but not quite as heavy as some other options. This makes it a good bridge between synthetic materials and full leather as it has the durability but without as much weight. It is still heavier than synthetic materials though and perhaps the biggest downside of leather is that it lacks breathability and therefore a full leather shoe might end up being uncomfortable. This is why you often see a mix of the two materials so that they aren’t too heavy and able to let your feet breathe when you’re out there on a hike. The balance that you want in your shoe is up to your personal preference. A synthetic mesh shoe will be light and breathable and a leather shoe would be highly durable. The best mix depends on what type of hiking you will be doing and how much protection you are going to need. Midsole – The midsole is a layer of material that sits above the sole of the shoe and just below the insole. The reason to have this material is that it can act as a shock absorber and able to help your foot deal with the constant impact and act as a layer of protection. The size of this layer depends on the purpose of the shoe as a durable hiking product would be thicker than a running shoe. The midsole is also generally made of two different types of materials with long and complicated names which are shortened down to EVA and TPU. Either can be found of a shoe but sometimes there is a mix of the two types in order to get both of their qualities with EVA being the materials that you will most commonly see. EVA is a soft material which will help to stop any jarring feeling from happening when you are walking, this helps to prevent your feet from getting sore but it also helps your ankle and knee joints too. Not all EVA is made the same though as not only can the quality of the construction change but also how soft the material is. You don’t want it to be too soft as this will mean that your foot lacks stability and can break down the EVA over time. TPU is the more expensive material and it is rarer to see it on a hiking shoe, especially one which only has TPU. It’s not as soft as EVA but will still be able to give you comfort while having a very degree of durability. They will keep their shape and won’t be compressed like EVA can which is why you sometimes see a blend of the two materials in order to get the cushioning of EVA but the strength of TPU. Outsole – There isn’t really any doubt about what material is going to make up an outsole as it will be made from rubber. This, as most people know, is a material that remains highly durable but is still able to give you a very high level of traction which is why you find it on car tires and shoes alike. There is a reason car tires often have different prices though is that rubber is a material which can have a large range of quality depend on how it’s made. Due to this a lot of companies will outsource the manufacture of their soles to other companies such as Vibram. Vibram are one company which has a very high level of quality and are a leading name in the industry. One of the bad aspects of buying a cheap rubber from a source which isn’t reputable is that you never know how much quality the rubber has. You need to ensure that your shoes have a high level of traction but also durability too. One of the big differences that you can find between hiking shoes and hiking boots is the waterproofing. The reason for that is partly down to their primary use, as hiking shoes are seen as a lighter shoe with less support for those who want a more simpler hiking experience. If you are walking through a creek, for example, then the low-cut heel of a hiking shoe isn’t going to be able to offer you much protection. For this reason, a lot of hiking shoes don’t come with much waterproofing on the upper as the expectation is that you will be hiking in more favorable conditions. These types of shoes still have a waterproof sole and the leather from the upper but not all-around protection. It could well be though that you live in an area which has a lot of rainfall and want that extra protection from the elements. Having a waterproof membrane added to the fabric will increase the weight of it and also impacts the breathability, which is why most hiking shoes don’t come with full weather protection. Breathability is a key issue here. If a material is highly effective at not letting any water in then it is also going to be difficult to let any water out. That means that any sweat will stay trapped in your shoe and it won’t let any air in to cool your feet down. This can defeat the purpose and make your feet wet and clammy, which can make you much more prone to blisters. It’s a generalization which some products go against, but hiking shoes are seen for better weather and easier hikes and hiking boots are seen for harsher weather and more technical hikes. If you live in a damp and cold area then getting a hiking shoe with waterproofing would be a good idea. If you only ever venture out in good weather, then it’s probably going to be better for them to be as breathable as possible. Another reason to buy a hiking boot is due to the high amount of stability and support that they provide as they are bigger and heavier than hiking shoes. That’s not to say that hiking shoes don’t offer support though, as the best models are able to give you the stability that you need when you are out there hiking. In order to offer that support of a hiking shoe, it ideally will be stiff from the heel to the middle of the shoe and then the front of the shoe will remain flexible. In order to provide this stiffness, a lot of companies have a shank that is able to run through the shoe. What this does is protect your feet while you are walking over rough terrain. The support that a shoe has is also impacted by other factors such as the ankle collar. Protection for the ankle is one area in which ankle boots excel but shoes can also have more support in this area than others and if you are looking for that then a shoe with a high ankle and be important. Also shoes which have a wider forefoot also offer support too but this does reduce the amount of agility that you can have in the shoe. A wide forefront though will help to prevent your ankle from turning over and help to give you a more secure footing. The materials of the shoe matters too. The midsole and the outsole also play their role in the support and stability of a shoe. These materials need to give you comfort and flexibility but they also need to be rigid enough to be able to give you the high level of support that you are looking for. In regards to the insole, not a lot of companies offer support here as it can often depend on an individual’s foot type. If you need extra support in this area, it’s good to look for a shoe with a removable insole in order to have your own. One of the reasons that hiking shoes are becoming more of a popular choice is that they are still able to give you a high level of support, even with their smaller size. Hiking boots are still the king here but if you’re looking for a light and comfortable shoe which is going to give you plenty of support, the best hiking shoes will be ideal. Traction is obviously a very important part of your hiking shoe as when you are in the outdoors there will be numerous times when your feet will have to grip on the surface. The amount of traction that you have can be determined by the shape of your shoe but mainly by the material it is made from and the way that the sole of the shoe is shaped. As we mentioned before when talking about the materials, a big factor is the rubber that is used on the sole. You want it to be solid enough that it is going to give you enough stability and provide your foot with a solid base but you also want it to be able to flex and grip when it needs to. Having a high-quality rubber compound will be able to give you that solid base without any sacrifices. The traction of a shoe can also come from having a stiff enough sole to help you claw your way through difficult terrain. When trying to walk through mud, for example, if your shoe was too soft then you wouldn’t have a strong enough base from which to push off and therefore you’d keep slipping. A sole with the right amount of stiffness would be able to give you a foundation from which to be able to push yourself off. Another vital feature when it comes to the traction are the lugs on your shoe, which are the individual pieces of rubber on the bottom of the sole. These work much in the same way as tread on a car tire which clears the water. The lugs will be able to cut through any loose ground or mud in order to give you solid contact with the floor. The lug pattern will be able to work in multiple directions and cover all the angles that your shoe might be in. We have mentioned a few areas where hiking boots still hold the advantage in some situation but one where they definitely don’t is weight. These hiking shoes give you a much lighter piece of footwear than traditional options which means that you are going to be able to hike in even more comfort and not have to worry as much about fatigue. Having footwear that is too heavy can be a strain after a while and can easily cause sore leg muscles, especially if you are not used to wearing them. The reason that they are light is due to the fact that they don’t have as many materials, which can affect other areas but a light shoe will feel great on your feet. As there is with many different products, there is a balance between weight and durability as though extra materials can help to make your shoe last a lot longer. Extra materials can also give your shoe extra support and stability too which is why you have to be careful about just jumping to the lightest shoe that you can find. Weight is only a part of the grander scheme of all the features that you need in a shoe. All the shoes that we have listed here are light enough to be very comfortable and it’s probably the best idea to look at all the other features that they offer and making sure that they are a good match your you. After that then you would be able to compare weights and see if there is a difference. These shoes are all generally made out of the same basic materials so it’s not as if one can use a much lighter product than the next. If you’re the type that only goes hiking in one-off trips when the weather is good then it’s likely you’d want a breathable mesh-dominant shoe which would be very light. If you’re a more frequent hiker though, you’d want that extra durability and support, and wouldn’t mind adding a little bit of weight. Durability is a key feature with most products but for hiking especially as your equipment is going to take a lot of punishment. Tens of thousands of steps over challenging and tough terrain is a lot for your shoe to be able to cope with. This is why durability is always going to be important otherwise you’ll quickly find yourself having to replace your shoes. The difficulty for companies though is what we touched on before, which is the difficult balance between weight and durability. There are other factors which can hamper durability too as you still want to ensure that your shoe is going to be comfortable and breathable. The first part of durability comes from the sole as you will want to make sure that you have a high enough quality rubber so that it doesn’t wear away over time. All rubber will wear away eventually but they have a vast range of different strengths so you need a product which is going to be able to last for years. The midsole plays an important role in durability too. Like with rubber, EVA can be a different level of quality depending on how it’s manufactured. You want to get a quality product which is not going to start to lose its shape and also one that is not going to become compressed too easily. Probably the largest part of what makes a durable hiking shoe though is going to be the material that can be found on the upper. In this respect you would want to have more leather but leather is also a lot heavier than any breathable mesh. That’s where nubuck or suede leather has a good compromise as it is lighter and more flexible than full-grain leather but not quite as durable. Durability is undoubtedly an important part of your shoe and all the products we have looked at here are going to last for a very long time. If you are only going to be doing a light level of hiking though it’s not going to be quite as important and, as always, it’s a good idea to figure out what type of hiking you will be doing and to get a hiking shoe to match that. The importance of breathability depends on a few different key factors of what you value most out of your shoe and also what type of hiking you are going to be doing. Once you know that, then you will be able to set your priorities on what you need and what you are willing to sacrifice. If you are the type of hiker who lives in a hot climate and will only look to venture out there when the sun is shining then breathability is going to be a lot more important to you than for other. If you didn’t have breathable shoes in this scenario then your feet would quickly sweat and your socks would become wet. This would not only be uncomfortable but it will also make you much more prone to getting sore feet and blisters. In the opposite scenario, if you are going to be in a colder climate where it’s likely to be wet then breathability is not going to be as important as you’ll need protection from the elements and also your feet aren’t going to get as warm. In this situation, waterproofing and durability are going to be more important features so you would get a shoe which has more leather. There are materials out there such as Gore-Tex which is able to give you a good mix of waterproofing and breathability which can be a good compromise. Even on the toughest of hiking boots you would want air to be able to get to your feet, otherwise they would become uncomfortable. As you can see for the designs of the shoe, they all have a different ratio of leather and synthetic mesh material. This will affect the breathability of the shoe and that’s why it’s important to know the circumstances that you are going to be hiking it. If you are going to be in a mix of different scenarios, then getting a balanced shoe would be the way to go. The lacing system on your shoe is an often underrated part of what makes a comfortable and well-fitting shoe. If you have hooks and eyelets which are not well designed enough to be able to hold everything into place properly then you will never get the fit that you want and could end up feeling frustrated with your hiking shoes. Also some lacing systems are prone to loosening of the lace which will add to your frustration. Not only is it annoying but it can be very dangerous, there is little point having the best shoe in the world if you are constantly tripping over your own laces. Not only is the system important in this but also the laces themselves but thankfully this is an area which is easily solved by buying new laces. It’s fairly easy for lace to be able to hold the top of your foot in place as the laces are directly over them but a good lacing system will be able to pull up your heel. Having a strong eyelet or hook just above the ankle is important for this to be able to work. Without securing that heel will prevent any undue friction which can cause blisters. One great innovation that can make your laces a lot easier is having a single-pull lace system which is able to secure your shoe without tightening them. This may seem like a novelty but they have been proven to be able to give you the same tight fit as traditional laces. They aren’t as adjustable though which is important to some people who like to tie their laces in a particular way. While all these features are going to be important, there is no point having a breathable, durable and light shoe if it’s not going to fit you correctly. They should be comfortable to wear and not have any area that is going to cause too much friction or not give your foot the support that it needs. The shoe should be able to give you enough padding that your foot feels secure but not too restrictive. The padding around the ankle here is important as you want to ensure that is it not going to rub against the back of your heel and also that there is enough cushioning around the top of the shoe. That cushioning also needs to extend to the top of the shoe on the tongue as when you tie the laces the tongue needs to press into your foot and secure it into place. This is where the lacing system plays an important role in the fit of the shoe as we previously mentioned but this is made difficult if you have a poorly made tongue. The rest of the shoe needs to be tight to prevent too much movement but not too tight that it restricts the feet. The insole also plays an important role in the fit of the shoe, especially if you have individual needs but there is more detail on that later. The best products will be able to fit perfectly to your feet and allow you to have a high level of comfort. The style of the shoe often comes down to a personal preference as everyone has different ideas on what makes a good-looking product. A lot of these companies will offer their shoe in a wide range of different colors which gives you a great choice and the ability to get a shoe which is going to be unique to you. Generally leather dominant shoes are seen as a more stylish option, especially those which have a suede-like finish. Style should never be your number one choice for buying a shoe as it might be with a trainer but it does matter to most people. It’s a good idea to make sure it has your desired features first and then work out which one you like the most. In terms of style, you also need to figure out which type of shoe that you are looking to buy and what type of activity you will be looking to do. The design of these shoes is often based around the function that they are going to serve as some will be more geared toward light use whereas others will be more durable. A shoe might be light in weight, have more mesh and a softer midsole as it’s made for people who like to hike on easy trails in good weather whereas other shoes will be more durable, have more leather and a firmer midsole which is more ideal for backpacking. Not only do you want a stylish shoe but you also want a shoe in the style you’ll be hiking in. If you’re hiking then it’s likely that you are going to bump your toe at one point or another. Whether it is rocks, roots or something else, accidents are bound to happen and if you don’t have any toe protection then it could easily lead to a broken bone and the end of your hiking trip. That toe protection is one area where shoe companies will decide to take weight from which means that different shoes have different levels of protection. If you are going to be walking over tough terrain then this is going to be more important and therefore you will want to make sure that you have a lot of protection at the front of your shoe. The insole of your hiking shoe is that first layer of protection between you and the ground. Unfortunately it’s also the layer which is going to be the least suited to you as everyone has different types of feet which require different needs. If you have feet without any special requirements then it’s likely that you will be able to use the insoles that come with your hiking shoe and immediately enjoy using your shoe. For others though this is not the case and a shoe company can’t please everyone, so they will simply make a standard insole. If you think you need specific requirements, such as help with your arches, then it’s important to check. Once you know what is going to be the ideal insole for you then you will be able to purchase them and remove the insole which is currently in your hiking shoe. Perhaps the single biggest difference between hiking shoes and hiking boots is the support that you are going to get in your ankle. The reason for this is the height as boots will go above the ankle whereas hiking shoes will have a low-top fit which is just above it. This is a part of what makes hiking boots ideal for rough trails and heavy backpacks where the chances of rolling over on your ankle are greatly increased. The support that you can get from a hiking shoe comes in the form for preventing you from slipping, so having a stiff heel, a wide enough foot base and a sole with a lot of traction. If you are going to be on rough trails and are worried about having ankle protection, then it’s probably going to be the best idea to get a hiking boot. The modern hiking shoe is getting closer to the support a boot can give but the big design difference in the ankle is still a key and important difference. Q: What Is The Difference Between Hiking Shoes And Hiking Boots? A: The reasons why the two co-exist is that they serve different purposes. 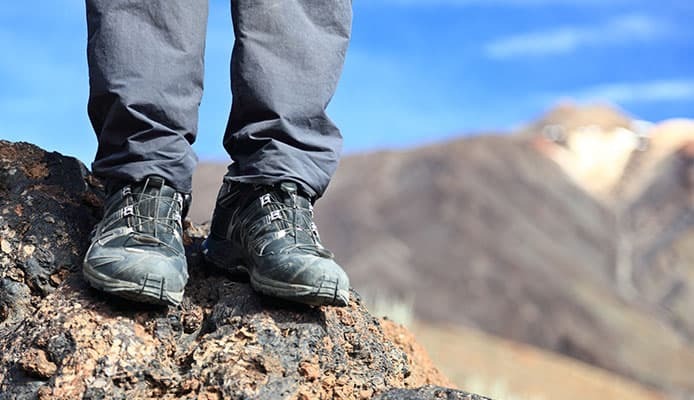 Hiking shoes are made for rougher terrain and more extreme conditions where you need protection and hiking shoes are made for lighter terrain where you don’t quite need the same protection. You may think that you might as well just get a hiking boot in order to have that additional protection but there are some key differences with one of the main ones being weight. Boots will have a lot more material so are therefore heavier. They need to be more durable, more waterproof and have more ankle protection. This makes hiking shoes lighter and more comfortable to wear for a long day. They will be light on your feet but still offer a good level of protection, just not as much as a boot. A: If you were going on a one-off hike then you could probably get away with wearing some other type of footwear but if you’re out there hiking on a regular basis then you really do need to invest in some quality footwear. One of the key reasons is that they help to protect you from uneven surfaces with a high level of traction but also with a stable shoe which will stop your feet from turning over. Added to that, they also have a high level of durability which regular shoes don’t have. 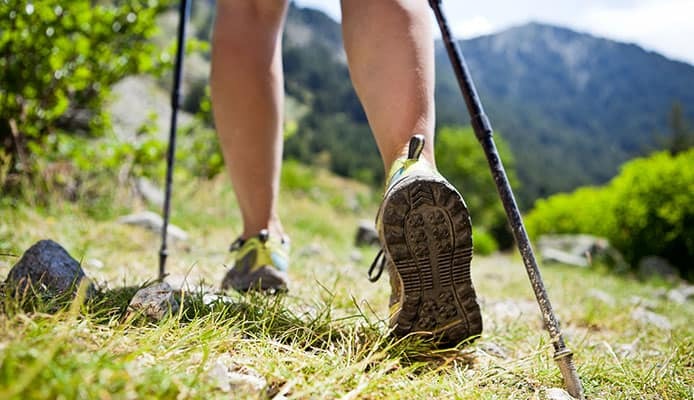 Hiking in non-hiking shoes will quickly wear them out and leave you vulnerable. There are other aspects too such as the cushioning they provide, the blister prevention that they have and the toe protection on the front too. It’s quite simply very important to hike in the correct footwear. Q: Do I Need To Wear Socks With My Hiking Shoes? A: Whenever you do any form of activity there are always people who love to go against the grain and do things a little differently. Some will say that they prefer the feel and fit of having no socks but this is a very rare view and one which doesn’t have a lot of sense. Hiking socks are a lot more specialized than your regular sock and able to give you a high level of comfort. Not only do they help to make your hike as comfortable as possible but they will also protect your feet too. The best socks will feel great but also have qualities such as wicking away moisture, insulating your feet and also preventing your shoes from rubbing on your skin. Hiking socks should be an essential part of your hiking equipment. Q: How To Avoid Blisters? A: Blisters are the enemy of anyone who loves walking. There are some fortunate people out there who never seem to get them whereas others will get them at the slightest bit of friction but preventing them all starts with your footwear. You need high-quality footwear which is going to be comfortable and also have a great fit. A part of that is breaking those shoes in so that they are not too stiff when you are out there hiking. Once you have broken in a great shoe or boot, blisters will be a lot less likely. For those who are prone, wearing two pairs of socks can help as this will cause less friction. A vital part though is keeping your feet dry as wet feet which create a lot more friction. If you do start feeling a hot spot though, it’s important to stop immediately and treat it with a plaster or medical tape before it becomes something worse. 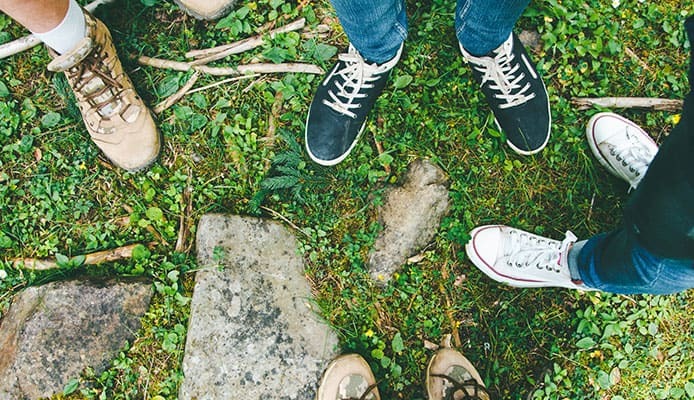 Q: How Does Hiking Shoes Improve Hiking? A: Blisters are one way that shoes improve hiking. If you’re reading this then it’s highly likely you have got a blister at least once in your life, probably more. You know how unpleasant it can be and getting quality shoes will help to stop that from happening. Hiking shoes will also give you comfort in other ways too. The midsole is designed to absorb the relentless amount of steps that your body takes, especially on hard terrain, and a good midsole will help to absorb that and keep your feet from getting sore and also help to protect your joints too. There are also all the other key features too. The sole will help to give you a high amount of traction to stop your feet slipping, the upper will protect your feet from the elements and the shoe will provide plenty of cushioning to the rest of your foot. Q: How To Clean Hiking Shoes? A: Even though they are a durable product which is going to be able to excel in difficult conditions, you still want to clean them in order to keep them in the best possible shape. One key aspect of cleaning them is to make sure you remove any large pieces of dirt after each trip. Gently washing the inside of the shoe with an anti-bacterial product will help to reduce any smell and hot water also helps with this, although soaking the shoes is not really advised as you don’t really want to submerge them but it can be done when required. Using a small brush such as an old toothbrush is a good idea to get rid of any little pieces of dirt and once you have done that, then you need to let the shoe air dry. Don’t apply heat at this will affect the leather and also the glue that is in the shoe. Q: Can I Wear My Hiking Shoes In Winter? A: The answer to this, of course, depends on the type of winter conditions that you are going to be hiking in. If you live in a warmer climate then there is no reason that you wouldn’t be able to use your hiking shoes in winter. This isn’t the reality for most people though and hiking shoes aren’t made for the most difficult of conditions. Due to that, it’s not going to be the best idea to wear them when the temperature drops to anything near freezing. The shoes won’t be able to give you enough protection from the cold and this is one scenario where picking up some hiking boots is going to be ideal in order to give yourself that extra protection and insulation. 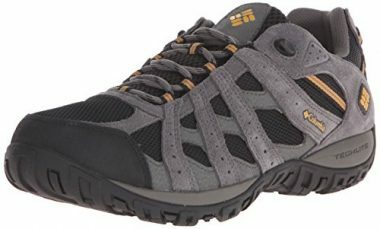 Hiking shoes are a brilliant way to get out there on a trail and have a very comfortable and easy hiking experience. Whether you are backpacking on a longer trip or heading out for just the day, hiking shoes can make the experience even better without having to worry about the extra weight of hiking boots. Hiking shoes aim to be great middle ground between the durability and support of a hiking boot but the comfort and weight of a sports shoe. They are perfect for those light trails when the conditions aren’t too bad. As we have seen, in order to pick the best hiking shoe there are many different factors to consider and a lot of it is trying to balance what is going to be the most important to you. Weight, durability, breathability, stability and waterproofing are all in balance with one affecting another so it’s important to know what the key features are that you must have. Once you have worked that out then you will be able to focus on other areas such as the traction that the shoe has, the amount of support it will provide, the way it is going to fit and the individual style of the shoe. All these products have a high level of quality but are all made slightly differently and therefore it’s important to compare them closely. When you have, you’ll be able to work out exactly which one is going to be the ideal shoe for you and your hike. Hopefully this guide has given you all the information you need in order to make a confident choice and pick the shoe which most closely matches your needs. When you do, you’ll be able to enjoy a hiking experience which is more comfortable and enjoyable than ever.